Tonne-kilometer is a unit of measurement used for the carriage of goods. It combines two indicators: the number of tons of cargo and distance. Tonne-kilometres recorded in primary documents such as the waybill of the vehicle. It is for tons and ton-miles and pay the driver when the direct piecework wage system. One tonne-kilometre is a weight of one ton, which is transported through a distance of one kilometer. Therefore, in order to calculate tonne-kilometers, multiply the weight on the mileage of the car, delivering the goods. For example, the truck moved 5 tons of cargo a distance of 200 kilometers: multiply 5 by 200 and get 1,000 ton-kilometers. The resulting calculationand the economic indicator used to assess the volume of cargo transportation by this mode of transport. In addition, this throughput can be used to estimate the maximum capacity of the transport lines of the company and compare the mechanical forces of different vehicles. It is also possible to calculate the present ton-kilometers. This index characterizes the volume of all executed separate types of transport carriage of passengers and cargo. To count a given tonne-kilometres, summarize tonne-kilometers passenger-kilometers. To characterize the efficiency of use of the vehicle by which the goods are delivered, the calculated utilization of capacity. This indicator reflects the utilization of cargo spaces of different vehicles. For example, to the case of freight wagons, utilization rate of capacity is calculated as the quotient when dividing the useful volume to full volume. On the throughput is significantly affected by the type of road on which the consignment is carried. Currently in Russia there are three types of roads: roads are one-way and hard-surface paved roads and two-way traffic and dirt roads. Naturally, the speed of transportation of goods by road of the first type will be much higher than the speed of travel of loaded vehicles on unpaved roads. When calculating the ton-miles don't forget the weight of the product translate into a ton! If the cost of ton-kilometer are low not only indicates prudent use of resources, but also tells about the competent organization of transport. In contrast, the high cost of goods turnover is not best characterized by the use of the vehicle company. 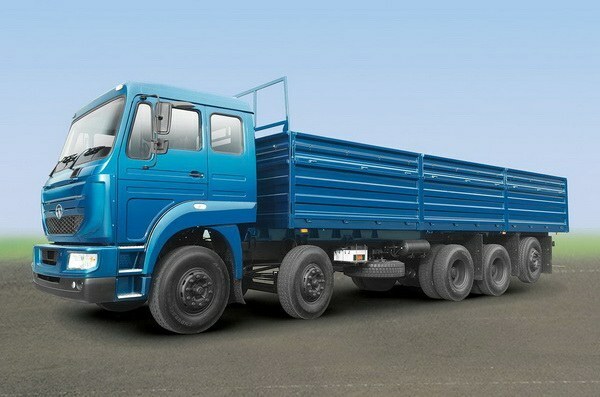 Turnover is the work of transport for the carriage of goods for enterprises, industry, the state, calculated in ton-kilometers, sometimes using the metric tonnage. To characterize the turnover of the state, any territory, specific areas, rivers, etc. and use the other unit. Remember that characteristics of freight to any station, a transport object, a transportation hub as the tester used only the tonnage.The turnover shows the volume of economic relations between countries, regions, enterprises, economic entities, it also indicates the capacity of the transportation facilities. Turnover can be defined as advanced communication, trade, economic activity in a certain period, etc., the cargo turnover Growth indicates the growth of trade and economic development, a fall in the turnover on the contrary indicates a decrease in economic activity. A significant drop of turnover usually observed in crisis periods. If you need to count the turnover, the weight of the transported cargo in a given period and multiply by the average distance of transportation, and you get the turnover of the enterprise. For example, in the course of the year the cars were transported 6 million tons of cargo at an average distance of 160 km, the annual turnover of this company is equal to 960 million ton-kilometers. Indicators of turnover are used in the distribution of income, in planning, in changing costs of materials, labor, equipment, etc. Be aware that the entire turnover divided into 5 components, considering the mode of transport:1. The turnover of the Railways. Rail transport is the most mass and cheap mode of transport. 2. The cargo turnover of water transport. Also a cheap form of transport, but there is a drawback, it's seasonal work. 3. The freight turnover of road transport. 4. The freight turnover of air transport. This is the most expensive form of transportation, but it is indispensable when you need to deliver goods to remote places. 5. The freight turnover of pipeline transport. Today it is the most promising mode of transport for the transportation of gaseous and liquid cargo. The nature of the relations the turnover is internal (districts, roads, nodes, stations, etc. ; in their import, export, transit, internal transportation, external (import, export, international transit).